Greetings, and thank you for your interest in this humble blog. I am Mathghamhain Ua Ruadháin, known in modern life as Matthew Simon Ryan Cavalletto. 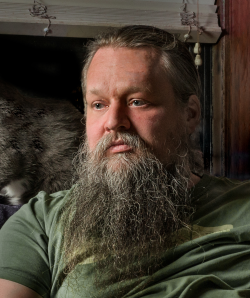 In August 2016 I was appointed the herald of the Canton of Whyt Whey, in the East Kingdom‘s Crown Province of Østgarđr, located in New York City. In December 2017, I stepped down from that position to become the herald of the Crown Province of Østgarđr, known as the Seahorse Pursuivant. My primary heraldic interests are in armorial design, where I serve as a consulting herald and am working on the Book of Traceable Heraldic Art, but I also dabble in local society history and cartography, as well as serving as a provincial youth combat marshal and using my limited carpentry skills to build some simple objects for use at society events. 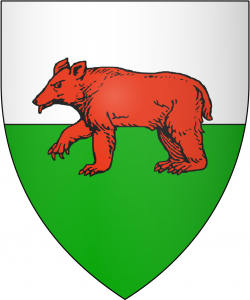 My arms are per fess argent and vert, a bear passant gules. Feel free to contact me with any questions or feedback about this site or related matters.